Both my girls had these pictures hanging in their nurseries. 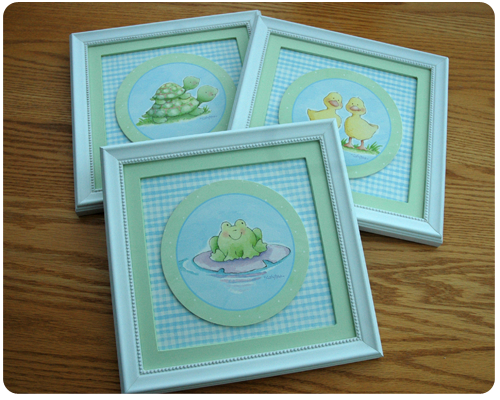 I bought the plaques way back before my oldest daughter was born and had them professionally framed. 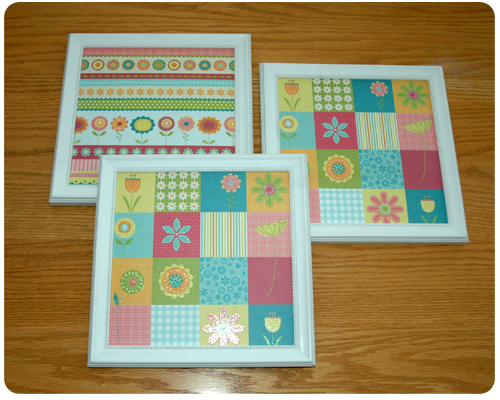 When my youngest daughter moved to a big girl bed and the decor of her room changed, I knew that I could easily reuse these frames to make artwork that would match her new room. 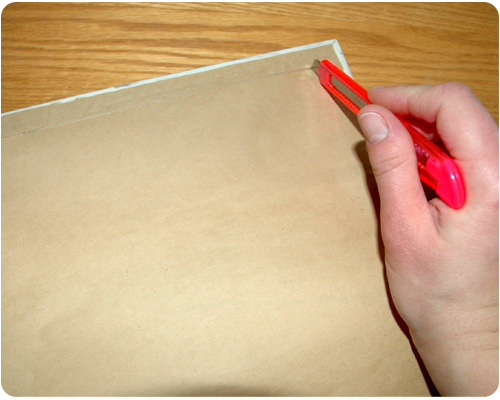 I began by removing the paper backing. 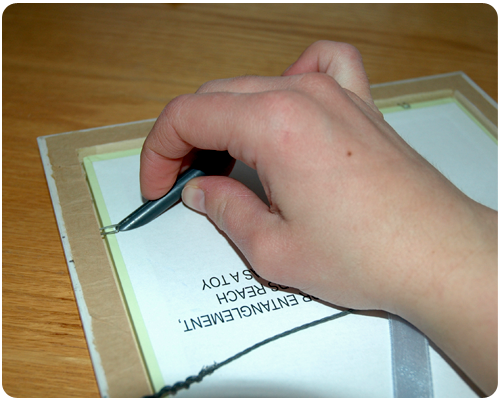 Using my exacto-knife I cut around the back of the frame being careful to only cut the backing paper and not the frame or the plaque. I then lifted up the metal prongs that were holding the plaque in place, and popped the plaque out. 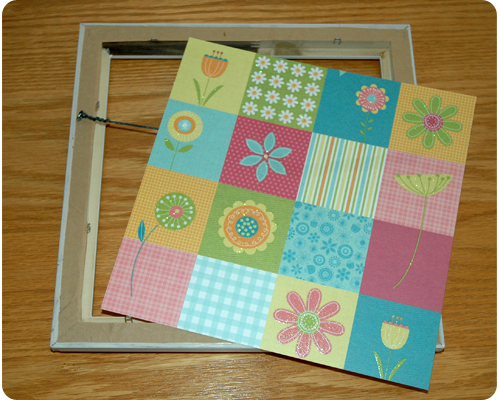 Next, I measured the opening of the frame, and using my paper trimmer, cut a piece of scrapbook paper to fit. I also had to cut a piece of corrugated cardboard to size using my guillotine cutter. 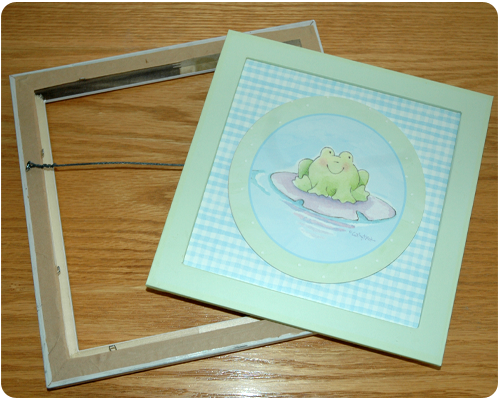 The plaques were much thicker than scrapbook paper, so I needed the cardboard in the frame to provide enough thickness so that the metal prongs would hold everything in place. When everything was secured, I turned my frame over and loved what I saw. 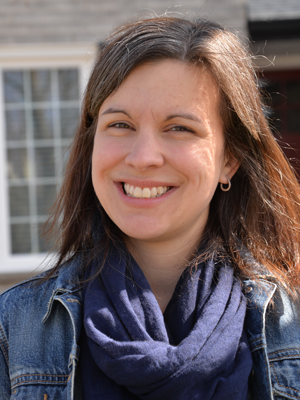 I then did the same with the other two frames. 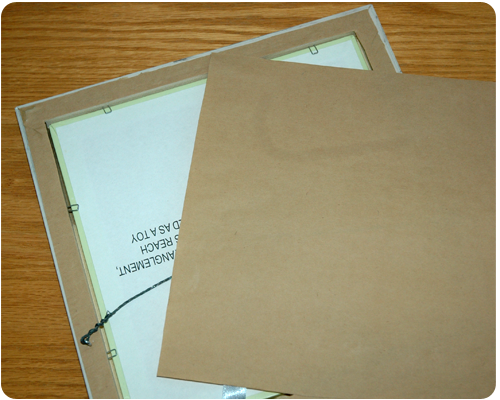 This project was very inexpensive since I already had everything that I needed on hand. It was also very quick to finish - I was done everything in about an hour. And now I have some artwork to hang on the walls in my daughter's big girl room. What do you think? 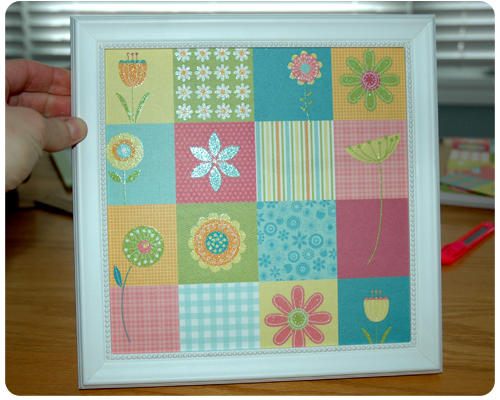 How have you reused picture frames? What a good idea - updating the art works. I'm all for repurposing things. It is fun to think of new uses for old things. Thanks for reading.